I received many emails about my post about "The Treasury of Human Intelligence". People seemed to like the concept, and the name / term "The Treasury of Human Intelligence". Several folks asked me if came up with the term or if I borrowed it. I had come up with it, but as many things, I was not sure if I had read it someplace and subconsciously recreated it while writing my original blog post. Alas, I had not stolen the term (the 1909 article or book was not on my reading list! ), and it did not show up on any other websites, with the exception of some random blog, Qassia, who had lifted my entire blog post from four days ago - VERBATIM, and did not give me the credit as the author. They had even submitted the post to Digg under their own byline. They even left the "Have A Great Day" at the end of the post, which is how I end every post on this blog. Arrrrrrrgggggg, Pirates!!! Now I doubt that the term "The Treasury of Human Intelligence" will catch on as the next great theory of interpersonal relationships, business development and networking.... but just in case it does, I want to make sure that Oprah Winfrey has ME on her show and not this "Qassia" person. Anyone who has produced creative products will have sensitivity to those who would steal their intellectual property. When people lift other's work (without giving them proper credit) they are not making deposits into the treasury of human intelligence. In fact, it is just the opposite. Plagiarism creates a situation where they are in a karma overdraft, with no overdraft protection issued by the treasury. This is not an action that helps the original author, but instead it causes pain and frustration. 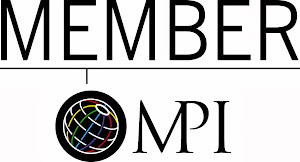 The Blogosphere is populated by a variety of unique and giving souls who bare their hearts and spin their words to challenge, inspire, entertain, and educate others. But the dark side often rears its horns and spoils the pool for everyone. Piracy on the high seas or on the internet is equally evil. I challenge all who read this post to make deposits to The Treasury of Human Intelligence and find ways to encourage and support other people to overcome obstacles and achieve success. Be the catalyst that help somebody win. When you give, you will get. CEO's like to see results. While theories are nice to ponder and spreadsheets look pretty, they fail to have the impact to the bottom line. Regardless of your job title or function, you should be looking for ways to help drive your company toward success. Results are always noticed and rewarded. All opportunities come from people. I do not care what industry you work in, doorknobs and ink pens do not bring you new clients (unless you are an innovator in the doorknob and ink pen industries...and even then, your product alone cannot make things happen). Other people are the catalysts that lead you to potential customers knowing you exist. Are you working hard to connect the dots and make new connections with those who can bring you new business? Or are you fooling yourself in to believing you are too busy to network??? It happens everyday - professionals make excuses as to why they do not got to networking events or keep their precious relationships alive and thriving. If you are not cultivating your connections, your contacts are withering on the vine. Soon they will be dead. You can be replaced in the minds of those who can refer business. OUCH. Think about it this way: If you have a relationship / friendship with someone who can be a good referral / information source and you are not talking to them regularly..... your competitor is probably talking to them. Guess what? Out of sight is out of mind. You need to constantly be communicating with your network, growing relationships and keeping friendships up to date or you will wake up and have nothing. CEO's hate to lose. Those who see relationships as the life blood of their company's future would blow a gasket to know that many of their employees just don't care about investing the time in making, growing and keeping business relationships. Go ahead, ask your CEO if they cares if you just ignore people as long as you do a good job at your assigned tasks. Tell him or her that you think creating relationships with other people is a waste of time, and thus you just wont do it anymore. Think he or she will care? 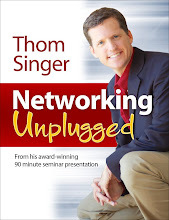 Not networking is a gift to your competitor. They should send you a hand-written thank you note! Have your read one or more of my books? If yes, THANK YOU. Click here to view a list of my current and pending book titles. 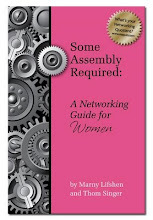 Also, we just released "Some Assembly Required: A Networking Guide for Women" - it makes a great gift! I have been thinking much about how knowing creative and interesting people can help one solve any difficulty. Alone we can be stagnant, but when you network with a diverse group of individuals... combined intelligence will create new opportunites for all. Throughout history man has been plagued with challenges. Individuals and societies have repetitively conquered and thrived despite overwhelming obstacles. Recessions, depressions, World Wars, plagues, personal setbacks, weather catastrophes and other mishaps have always been part of the human condition. Yet even when man triumphs, the next day someone somewhere if fraught with self-doubt, disaster, and peril of their own. We do not always learn from others, and bad things still can happen randomly. However when we do connect with others who can assist us in removing setbacks, the results are often atmospheric in nature. When we bond with others and share ideas, we combine their knowledge, skill and creativity with our own - we can create amazing opportunities to achieve. This "Treasury of Human Intelligence" is open and available to everyone if we just show up to make deposits and withdrawals. There is no interest due, and the terms are simple: share with others, and be open to taking what they have to offer you in return. Sometimes the exchange is equal, often they will prosper from your transaction, and then there are the times when you will shine in the sunlight of the interchange. The point is that you have to show up at "The Treasury of Human Intelligence" with a motivation of mutually beneficial success for all. Selfish hearts are not welcome for long, and will be expelled. I am excited when I find others who can openly discuss challenges. Those who do not hide behind facades and ego have a way of sharing perspectives that can bind with my own to show me new directions and paths toward success. I love it when I can be the person who helps another brainstorm and germinate an idea that gets them excited. I have seen projects where people do not share their input for fear of being viewed as silly or stupid. This is a shame, as their words could have inspired the group toward new heights. Many rock solid success stories come from when those possible silly ideas get meshed together with the mind candy of another to become a viable new concept. Exchanges in the Treasury of Human Intelligence is where you discover the seeds that grow into the masterpiece of life you long to create. Look around you, there are people everywhere who are longing to join you in this exchange at the Treasury of Human Intelligence. Reach out to others and let them know you are here to cultivate ideas together expand each others possibilities. One person can think his own thoughts, but two or more can have a synergy that can instantly change everything. Pick a restaurant or coffee house near your office and plan to meet there every Friday for breakfast or lunch. Let others know that it is the meeting of your local chapter of the Treasury of Human Intelligence. Together with those who show up you can share your thoughts and find links to others who will also want to excel. Who knows what could happen. When your network realizes what you can offer, the right people will appear to provide you with their intellect and together all will soar. What you think about an issue makes it true. For you. Our perceptions are our reality, but not the only reality. This is a very hard concept for many to understand. Human beings are very sure that the world is as they know it to be, but we miss the fact that others see things differently. Our personal experiences and beliefs effect how we interpret everything, and this can lead to dangerous misunderstandings. This is very visible during a time of a major political event, like the United States presidential election. Passions run strong and people divide themselves into competitive camps. The more they jump in behind their candidates, the more they learn to hate and disrespect the other side. I feel everyone would benefit if all those involved in politics were required to site three new things they respect about the people on the other side before they could be allowed to talk about their own world views. Rather than slamming the competition, we should learn from them. But myopia happens in the business world, too. People often surround themselves with those who are most like them and who share their focused points of view. This creates walled cities within industries, communities, organizations and companies.... and those who are not part of "the club" are dismissed as useless, annoying or just plain wrong. The most successful business professionals realize that their perception is not the only one (or always the right one! ), and create networks compiled with people who have a variety of backgrounds, education, disciplines and personality types. They respect those who have different opinions and look for ways to expand their own ideas to uncover not just any way to tackle a challenge, but for the best way that will lead to more business. When you face challenges in your business, try to expand beyond the "we have always done it this way" mentality and look for ways that others are tackling similar problems. There is always someone out there who has a creative way to circumvent the commonplace. Make that person part of your inner-circle and mutually find ways to expand your own horizons. Do not let tradition, the economy, the competition or your own tunnel vision stop you from success. There is a way for you to accomplish more... you just need to look at your world from another angle. I am confident that there are always new solutions to beat down old problems. You just have to be tenacious about uncovering the prized idea. I have written before about the concept of "Big Tent Thinkers". Become a person who lets more people under your tent and share with them your largest challenges. You will be surprised how much others in your life want to see you succeed and will help you chart your course. One never knows whose perception will create new reality you seek. All good things must come to an end. I write this blog post from Bellagio, Italy as the sun is coming up on a beautiful Thursday morning - the last day of our vacation. Tomorrow we fly home. My family and I spent two weeks in Italy with my in-laws. One week in Venice and the other in Bellagio (on Lake Como). Both cities were wonderful, and made for one very relaxing and exciting vacation. I did not realize how much I needed a vacation. I work a lot and am always on the go, and the down time was like a battery re-charge. Every morning I woke up before everyone and went for a sunrise walk along the water and sat at a sidewalk cafe (before it opened, they had internet access on the patio) and checked email, blogged and caught up on any news in the world. By 8 AM I was back at the apartment and making breakfast. Many think that checking email on vacation is a bad thing...but for me it kept me from coming home to thousands of emails and a nightmare of "catch-up". It gave me peace of mind and I was able to handle some minor questions that would have fallen through the cracks otherwise. My daughters, ages 11 and 6, really enjoyed the trip. While they are too young to fully appreciate all they saw, they relished in the uniqueness of Venice and the beauty of Lake Como. Additionally, they loved spending the whole day, everyday, with mom, dad, grandma and grandpa. Many question our sanity on bringing kids so young on such a vacations (this was their third time to visit Europe), but they were troopers. As I mentioned in an earlier post, we have a rule in Italy - "Gelato everyday, sometimes twice!!!" This seems to keep the kids going, as we try new flavors at different Gelaterias every time. Also, they fell in love with Italian Hot Chocolates...which were good, but way to much like drinking a melted Hershey bar for my tastes. They will have a big reality check when we return to Austin and return to limited amounts of such treats / sweets. Heck, ice cream every day is not a good idea.... but while on a two week vacation.... why not? All of my blog posts the last few weeks have directly or indirectly related to vacation.... as I have had vacation on the brain. I look forward to getting back to more normal blog postings, but I have learned that vacation is important....and hope to hang onto my newfound serenity. My creativity is currently high, and my enthusiasm about the tasks at hand for the next few months is at an all-time level. I am grateful for all that I have in my life. My family, my friends, my job, my writing and professional speaking career, and this blog (and those of you who read my stuff). A little time away from your daily routine does wonders for helping one appreciate all the good things in their life. I have a big wave excitement hitting me and look forward to tackling many projects this fall. 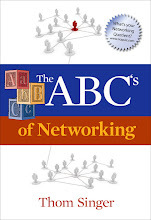 Next week, my third book; "Some Assembly Required: A Networking Guide for Women" will be released (now available at Amazon.com and Barnes & Noble). I have been working on this project with my co-author, Marny Lifshen, and our editor, Leslie Morris, for over a year. We are very excited about this new product. 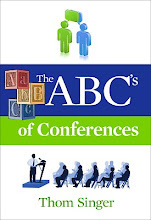 It is the first in a series of books that will exand upon "Some Assembly Required: How to Make, Grow and Keep Your Business Relationships". Please check it out and tell a friend!!! Well, I am off to make breakfast for the family and then catch a ferry boat to explore one last day on Lake Como. I love the solitude of the early morning. While on vacation I always wake before my family (not with an alarm, just because I am an early riser). I take this time to explore the area, catch up on emails, read a book, or just sit in a cafe and observe life going past me. There is a peaceful feeling to have that time to decompress and prepare for the coming day. Even at home, a half hour sipping a latte before going to the office while reading the paper gives me the downtime needed to collect my thoughts and gain focus. I think everyone should schedule themselves a morning vacation every chance they get. Just thirty minutes (an hour is you can), where you do something you enjoy. Sit still or go for a run. Read or write. Pray or think. Just avoid the computer, IPod or television. Make this short excursioin all about connecting with yourself. This is soul time. I am not sure that morning works for everyone, I know a lot of people who can never seem to motivate to get out of bed and there inner-self stays asleep until noon. So you do not need to take my "morning vacation" literally, a 3 PM or 9 PM getaway I am sure would work just as well. I just like the morning. Once you get into the habit of your morning vacation, you will find it to be an important part of your day. While I cannot do it everyday, as I have a lot of other responsibilities (taking the kids to school, work-related breakfasts, etc....), I do cherish the mornings when that time is available and I make it a priority. Without it I could never accomplish all that I do. Think about your daily schedule. Do you have personal time built into your routine? If not you are cheating yourself (and everyone around you) from performing at your peak. Remembering to be inspired is hard. No matter who we are or what we do, routine sometimes takes over and completing tasks seems most important. But we all have that spark inside us that gets us jazzed up, and we can easily recapture that feeling of WOW. You know what I am talking about. Entrepreneurs feel it in the early stages of their business. If they were not inspired, they would not and could not have taken the steps to launch their companies. We feel it in love-relationships when we first meet that someone special and cannot get enough time to just stare into their eyes. Sometimes all it takes to discover your inner inspiration is to break the cycle of your routine and do something different. I never used to be a big fan of extended vacations. I could not have imagined being away from the office for two weeks at a time, and for over a decade limited myself to long weekend trips or a few extra days a Christmas. The fear of 100 - 150 emails per day piling up in my inbox would give me the chills. I feared that co-workers and clients would think I was a slacker if they got "out-of-office" replies for more than a couple of days. And worst of all, I mistakenly convinced myself that I could de-compress with just a few days away. I have now found that the Europeans have the right idea with their extended holidays (their other good idea is "the siesta", but working an afternoon nap into the American workday is not something I think will ever happen). Taking a long trip in the summer gives one something to look forward to for months in advance, and I have found that I become more inspired about my career and other goals after having some time away. Co-workers seem to rise to the occasion and find ways to help and support those who are traveling, not resent them (God, I hope I am right!!!! he he). Emails are easy to manage from the road, and with a small investment of less than one hour each morning, I answer 90% of all questions and delete the huge amounts of spam or other useless messages that seem to clutter the inbox constantly. Most of all, it is at about day ten of a vacation when I really start to find the peace in my soul that I think we all need do badly in the high pressure world in which we live. What a shame it would be to never reach that peace or to have to fly home immediately upon uncovering that sense of Nirvana. You also do not need to travel to an exotic location for your time away. A friend of mine told me about his boss who takes a 14-day at home vacation every year (there is a catchy name for doing this, but I cannot remember it..."home-cation" or "near-cation"???). He is "away" from the office in the same manner as if he was on the opposite side of the world. His family gets 100% of his time and they never leave the city where they live. Regardless of what you do, find a way to get away, it will show you the way back to inspiration. The 80's band The Go Go's had it right with the song "Vacation" - it is not wanting to get away, it is "having to get away". Try it, you won't regret it. I enjoyed my week in Venice, Italy. It has become my favorite city to visit on the planet. Before going I was cautioned by others that the city was over-crowded with tourists, expensive, dirty, and smelly. However, I learned that an experience is only in the heart of the person who lived the experience. One can never know how they will react to something until they have walked their own path. Never again will I believe another's negative review of travel. One person's oyster is another's pearl. We were told that three or four days was enough, and we found seven too few. We did all the tourist things (yes, the high price of a gondola ride is worth it!!! ), but we most enjoyed the places that were off the beaten path, and asked our hotel for restaurants that were only for Venicians. Alas, we ate like royalty. Yes, Venice is expensive. Sure, there are a lot of tourists. I did not think it was dirty or smelly, other than the scents of the amazing food from all the wonderful restaurants. If you ever have the chance to go there..... do it. Below are some of my photos that I hope you enjoy. It is good to be a leader, but an important quality of a successful leader is to also know when to follow. Sometimes those who lead in business forget that they are not always in the same position of control in all areas of life. When you are part of any group, there comes a time when you need to "go with the flow" or put others wants, needs and desires ahead of your own. You do not always have to call all the shots! I have encountered people who bully their way through all the relationships in their life. They bark orders at all and assume people will jump at their every whim. These people drain the fun out of most situations and alienate as a hobby. The sad part is they often do not know what they are doing. I have discovered that when I go along with others is when I grow and expand. Instead of taking charge all the time and having to make every decision, I let those around me lead me into new types of situations. If you always cover every selection you live in a monotone world. While on vacation in Venice, Italy with my family, my young daughters were constantly being taken along to museums, restaurants and other tourist spots. They had their own ideas about what shops to pop into or when to get gelato. We allowed them to do these things (the rule in Italy is "Gelato Everyday, Sometimes TWICE!). We even invented the "Get Lost Game", where individually with each kid I would allow them to wander the streets of Venice for one hour while I followed. I gave no direction and they could go any which way through the narrow and maze-like streets. It was a wonderful adventure to see them make choices at each bridge, canal, corner and passageway. They felt empowered and together we had a great adventure. At the end of the time, it was up to dad to find the way back to the hotel! When you follow others you can discover books, movies, restaurants, music, theatre, vacation spots, friends, and many other type of experiences that can be life changing. You never know when something simple will expose you to an internal "WOW". If you think you are always right, you are most likely mistaken. Take some time to just run with the energy of those people who share in your life, and see where their direction leads you. Get lost from you daily routine and explore new. New experiences await. At the end of the journey you can always find your way back (if you want to!). I think that too often people get caught up in the circles of their own life and they forget that the world is not just what they view on a daily basis. Imagine living in a large city in the United States. You probably commute to work via a car, fighting your way through traffic lights to reach the highway. Once you are on the major thouroughfair, your stop and go tapping on the brakes all the way to the office. Maybe you pop in at Starbucks for your morning cup of coffee in a to go cup and jump back in the car. Whatever you do, it is your routine and you probably think little about how different a day can be for other people around the world. Without even touching on the conditions in under developed countries, it is facinating to visit other cities to see that things can be vastly different, and yet amazingly similar. I live in Austin, Texas - which by all accounts is an fantastic place to live, work and raise a family. The population of the greater Austin area is close to 1.6 million people. Venice, Italy's surrounding area has about the same number of people, and yet these two wonderful cities are so different. I wish I could explain how taken I am with Venice. It is a city like no other that I have ever seen. The things you see on television and in the movies do not do it justice. Before arriving I was warned by others that Venice in the summer can be hot, overrun with tourists, expensive, smelly and dirty. While all of those things are based in some truth, those who only see that part of the Venician world have missed one of the true wonders of the world. The city is a metropolis that sprung from the water over 2000 years ago, and has a rich history and architecture like nothing eles I have ever encountered. A few years ago the U.S. Insurance industry freaked out over "mold" growth in homes. The scare was so large that you could not get insurance on a piece of property is you had ever spilled a glass of water. Meanwhile Venice is surrounded by water and these palaces that line the Grand Canal have survived hundreds of years of a game of give and take with the sea. It makes me laugh at those State Farm guys. There are no cars in Venice and finding coffee to go is virtually impossible. There are no Starbucks in Italy, and when you want that morning expresso you stand at the bar and drink it with the locals. You smile and talk to those around you who are interested in discovering where you are from and how long you will be visiting their beautiful city. That does not seem to happen in the long lines of an American coffee house. The talk in the media about how the world hates America seems to be highly overstated (sorry CNN), as everyone I have spoken with has been wildly friendly, and interested in discovering more about Texas. People are just people, and those I have seen (locals and fellow travelers) are trying to have a great day the best they can. You walk a lot in Venice. You also take the bus, but that bus is a very old large water craft that circles the Grand Canal. There are no cars, or other vehicles, in the main city. The streets are a series of twisting and turning alleys that all look the same, and yet are spectacularly different. The La Fenice Opera House was burnt to the ground in a raging fire in 1996, and was restored in 2003. Only the facade of the building and a few other back rooms survived, but to tour the new theatre was an amazing testiment to what can be accomplished. The grand theatre looked spectacular, and was true to the design of the 100 year old hall that had stood before. What struck me was the the Italians had the resolve to make it as it was, where it was - and damn, it is incredible. To the the detail of the craftsmanship and know it was created just 5 years ago is inspiring. Even my 11 year old found the theatre a highlight of the trip. Wow. The pace of life is slower in Venice (in a good way). People are not in a hurry. The locals appreciate that they live in the surroundings of breathtaking beauty. One person told me that his "home city is one of the world's best museums", and he cherished living here. I cannot seem to get enough of Venice. The camera shutter goes off like telegraph machine as each turn of a corner brings something eye-catching. I recently heard a seasoned business executive say that the biggest and most crippling mistake that entrepreneurs make is that they do not realize the importance of having the correct experience level in key roles at their company. Too often people hire people quickly to "fill a position", and make decisions based on a gut feeling that they just "like" the person. 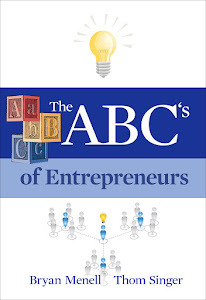 Additionally, many entrepreneurs mix up important business terminology and use the verbiage interchangeable. Are marketing, business development, sales, PR and networking all the same thing? Does one skill set mean the person can perform in all five disciplines? Many entrepreneurs think they understand these areas of business (and some do), but often they hit a wall when they are expecting a magic bullet and getting no results. Things gets worse when it involves the money. Far too many falsely believe that "CFO" is just another word for "bookkeeper". They hire anyone who can add numbers to run their finance department with more of a concern for the individuals salary requirements than they put on expertise. Think for a minute about these terms: CFO, finance professional, accountant, bookkeeper, controller and CPA. All of these are different, and people whom hold these roles have a variety of levels of experience. An entrepreneur needs to understand the numbers of his company, and just hiring someone to oversee the finances without being personally engaged is a mistake. Cash is king. Your financials are the lifeblood of the company and for this reason you must find the right person to help model, forecast, and control finances. I work for an operational accounting firm, and thus I am surrounded by amazingly experienced financial professionals. While I am not a "numbers guy" (I am much more the sales and marketing type), their views have rubbed off on me. I have become educated on the need for understanding and interpreting a company's financials in a business of any size. This is not an area to be entered into lightly. However, I often witness entrepreneurs who are "winging it" when it comes to the numbers. This is not good. If you run a business and feel light in the numbers arena, then you have to be sure that you become educated not just about how to read your balance sheet and income statement.... but also on what and who you need in your finance department. Ask a lot of questions of your bankers, lawyers, auditors, and other trusted advisers and they will gladly point you in the right direction to find the guidance you need. Why will they so readily help you? Because they need for your company to succeed in having the right financial oversight in order for you to have long term sustainability (and pay their invoices!!!!). The company I work for can also help you in these areas, see www.vcfo.com for more information (yes, a commercial in the middle of my blog). When you watch a Star Wars movie and they say, "May the Force be with you," and you respond, "and also with you." The above is credited to Garrison Keillor, and originally sighted Methodists...but it works either way...and it made me laugh. And then you go to the church hall for donuts!! I know this will get me in trouble, but I am posting it anyway! We are going to delete those links on the blogroll that do not have a reciprocal link for us. Please put a link to us and let us know so we can keep you in front of our readership!!! Yikes. I do not know these people and I NEVER get traffic to my blog from them. I have always hated the concept of maditory link backs on blogrolls. I list many great blogs in my blog roll, but never do I want those writers to feel obligated to link to me. Sure, I love links as much as the next blogger....but this made me so mad that I blogged from my vacation. It makes if fake if you demand the other to link to you...and if you threatten to delete them, is that not like payolla of some kind? It is just icky. Mississippi School of Law student Tripp Segars sends out regular motivational emails to a massive distrobution list of highly unique, ambitious and forward thinking people whom he has met and added to his ever expanding network of contacts. This week's email found him quoting ...ME! I thought I would share what he had to say about Big Tent Thinkers. ARE YOU A “BIG TENT THINKER”? What comes to your mind when you read the title? For me, I reminisce being under the “big tent” at the circus, a really big circus, where there were lots of people laughing, smiling, and thinking about the amazing things unfolding before their eyes. Can you picture such a circus…of course you can! Heck, as short as I am, I could be one of the twenty or so people who jump out of the small car (which used to be a Bug) that they drive into the first ring. Miraculous, huh? Maybe I have a career in the making! Now, take a step back and apply those thoughts to our daily lives. Could the car and passengers not represent a person, who has ideas spilling out into the world? What about the “big tent”? Imagine all of those people crammed inside at one time. Thousands of great ideas could come from the people in attendance. Back in January, a good friend and mentor, Thom Singer, wrote a post on his blog, where he defined “big tent thinkers”. What is a “big tent thinker”? It is “someone who tries to keep an open mind, who is always expanding to accept new thoughts and ideas. 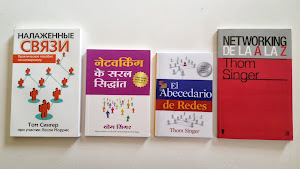 They do not pre-judge and work hard to avoid putting everyone into a bucket without exploring all of the options.” (Thom Singer). He further explains that “as a big tent thinker, you will not agree or embrace every idea that you run across, but you will always look for ways to find a nugget of knowledge of inspiration from everyone or everything.” This is powerful stuff! Does it explain the way you view your interactions with others? Can you take something from every conversation? Let us expand this view of a “big tent thinker”. If you always have room for people under your big tent, and you should,then perhaps collaboration is something you enjoy…or need to learn. Benjamin F. Fairless responded to a question about a recipe for successful achievement with “just four essential ingredients: choose a career you love, give it the best there is in you, seize your opportunities, and be a member of the team.” Why does he include being a member of a team? Maybe it is because of the power a team has when focused on the same goals. When you share your goals and dreams with others, success becomes much easier to achieve. Also, your goals may benefit many other people, which both gives them more of an incentive to help and offers you more of an incentive to help others. By allowing others in on your goals, your big tent may soon turn into a really big tent! Enthusiasm will increase when more people are allowed to give input, see the progression, and be directly involved with your aspirations. Since it is well-known that people achieve success through the help of others, think of your goals as a group effort. “Individual commitment to a group effort – that is what makes a team work, a company work, a society work, a civilization work.” (Vince Lombardi). decisions-making process? Do you share in making your decisions with the people who will be affected by them? In closing, remember that “the man who gets the most satisfactory results is not always the man with the most brilliant sing mind, but rather the man who can best coordinate the brains and talents of his associates.” (W. Alton Jones). Think of your associates and friends as your entourage that helps you become a better “big tent thinker”. I have written before about how proud I am of my 11-year-old daughter, Jackie, for her four year dedication to martial arts training. When she was seven, one of her friends wanted to attend a free class to learn about Karate, and Jackie decided it might be fun to check it out. Her friend did not sign up, but Jackie enjoyed the whole concept of martial arts and selected the training as her main extracurricular activity. It has not always been easy, and at times she has been overwhelmed and exhausted by the physical training. The sparring and grappling with bigger kids was never her favorite part, but she just kept trying her best. She has mastered the weapons and open-hand forms, and exemplifies the heart of discipline as she has continued to reach for her goal. Since the beginning she has set her focus on achieving the rank of black belt. Last night was the graduation ceremony at the dojo, which followed last week's five hour exam (she had her "black belt recommended four hour test a few months ago). Jackie, and four others, attained the rank of "First Degree Black Belt". At the ceremony she was required to break two boards, something that always gives her trepidation, but with a swift kick and another solid chop of her fist she split the wood and was awarded her belt. The black belt was placed around her waist by Master Jaurez, who has been her teacher during the last four years. He has been tough and demands the best out of his students, but has also been a great role model and has a golden heart. He earns the respect of the students and the parents with his actions. It has been more than just a "proud papa" moment in watching Jackie achieve this amazing accomplishment. This has been a lesson on dedication. Sure there were times that driving her to the school three to four days a week has been a hassle, but my wife and I have shared her commitment to the program. Many students have come and gone over the past four years, and only a small number have stuck with the training to reach this level. To quote part of their student creed: "Quitters never win, Winners never quit". It was never fun to see my daughter having to fight older kids (boys), especially when she would get hurt. But learning to fight, box, grapple and defend herself is part of the program. Both Jackie and her parents learned that you are going to have to experience some difficulties and discomfort en route to success. She was not always the best fighter, but she always got on the mat and tried her best. Somewhere along the way she learned to get in there and mix it up very well. Success brings confidence. No matter where she goes or what she does, Jackie knows that she earned a black belt. This is something not many people will ever do in their lifetime. I hope that when she grows up she will have this experience stored in the corner of her heart and that she can pull out that "Black Belt Attitude" to help her overcome any obstacle. We all should remember our own achievements and use these memories to help us climb to the next level. You do not need to practice the martial arts to have a "Black Belt Attitude"... just live it. Many times business professionals are asked to give presentations as part of promoting their product or services. Everyday in cities all over the world there are organizations that host breakfast and lunchtime seminars that feature local executives who stand up and pontificate about their company, philosophy and areas of expertise. Meanwhile, often times audience members would rather be boiled in hot oil than have to listen to these well meaning, but under prepared speakers. While much of the information is great, it is very often presented by people who have spent no time on preparing to give a presentation. When you are asked to "give" a presentation you need to remember that you are "giving" something to your audience. You are presenting a gift of your time, knowledge and experience, and nobody wants to give or receive a sub-standard gift. Therefore you owe it to your audience, and yourself, to properly prepare your talk and fine tune your presentation skills. 1. Never start with a joke, unless you are a professional comedian. At some point in time we have all heard to "lighten up" the audience with joke or funny story for the opening of a presentation. However, unless you are an accomplished humorist, most jokes fall flat or appear canned. Instead start your talk with a strong statement about your topic and jump right into to the subject matter. 2. Avoid too many words on your PowerPoint. Many people cram large amounts of information onto each slide. Your PowerPoint is there to help you remember what to talk about, not for the audience to read. The best power points have very few words on each slides, or sometimes just photos (no words) to illustrate a point and create a visual bond with the audience. 3. Tell Stories. You audience appreciates all of your research, facts, statistics and graphs. But even in a technical presentation if the speaker does not tell personal stories about the information, the the listener will feel cheated. People like to hear your personal experiences that lead you to being a subject expert. 4. Make your presentation interactive. Ask questions of your audience and accept Q&A throughout the presentation. Nothing is worse than the speaker shutting down an audience member who raises their hand by telling them to save questions for the end. 5. Avoid standing in one place or behind a lectern. You want to be free to move around while speaking, and if you are stuck in one spot during your presentation the audience will quickly become bored. Your movement around the stage allows you to be more engaged with the audience. Mix it up. 6. Own your own remote control for advancing your PowerPoint. These "clickers" cost about fifteen dollars and will save your life. 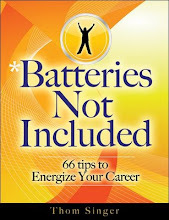 Many speakers expect the event planners to have one or assume the devise will work and have charged batteries. Needing to rely on someone to advance your slides and repetitively saying "go to the next slide" can kill your presentation. 7. Practice your presentation in advance, especially the opening and the close. Know what key points need to be made in the middle, and be confident in all statements that you make. 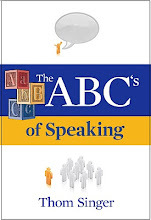 Nothing is better than a confident speaker who is in control of their language. 8. Give the audience more than they expected. Why do you think Oprah likes to give away cars and other prizes to her studio audience? People love it when you leave them with either a free white paper, or other token of information. If you cannot give everyone something, conduct a drawing so that some of audience members win a free book or other item. Giving good presentations will help you succeed. Take your speaking skills seriously. While this embedded video clip from ESPN is six minutes long, it is one heck of a story about cool people doing the right thing. Invest a few moments to watch this if you have not already heard about this lesson in character. This story about sportsmanship, competition, and compassion will bring a tear to your eye. Would your team mates, co-workers, bosses, children, friends or employees do the same thing as the girls on the Central Washington Women's Softball Team? Would you? Having the character to step up and do the right thing at the right time is what we should all hope for in life. In a world overrun with competition and "ME, ME, ME" attitudes, this short video will give you inspiration and make you smile all week long. Can we really reach anyone on the planet and get their attention and schedule an appointment? Is establishing contact and networking welcomed in any or all situations? Does everyone even want to know us? Do they care? And what if the other person is a celebrity, politician or leader of a major corporation? Can we get on their calendar for a cup of coffee? Or are there just too many of us for them to give the average Joe a second thought? Once we lived in a world where people never imagined directly pitching an idea to the CEO of a public company. They lived in the clouds, others walked on the street. The two could never meet. It would be blasphemy. Now we live in a transparently social media dominated society where many live the concepts of John Guare's Six Degrees of Separation. In fact, the internet has made it less than six degrees, with many feeling just one degree separates us from the next person, assuming that once we can email, we can access. However, just because we can reach out to a person does not mean they will pick up the phone (or email, or facebook nudge, or twitter, etc....). So what can someone do, shy of dressing up in a chicken suit and waiting outside a VIP's office, to gain the attention of an individual with whom they wish to connect? While sharing a mutual contact or being "LinkedIn" to their college roommate is optimal, it is not always the case. While one cannot expect the CEO of a public company to answer his own email from strangers (or do we expect this? ), there is now a societal assumption of accessibility. The whole social media / social networking movement has brought a new sense of familiarity, and company executives need know this perception is now reality. People now demand and expect feedback, but executives cannot spend their whole day networking or answering questions from the public. Yet having someone else ghost write a blog, answer emails, communicate on twitter, or other fake touch points with the outside world will quickly go stale. People see through actions that are not genuine. There needs to be a balance between the old and the new ways of communication, and nothing plays better than truthfulness. People want to have contact with the decision makers, even at large public companies. The cool and hip companies are engaged with their customers. Experiential marketing and social commerce technology are all the rage. Or are they? Millions of dollars are being spent to appear to be listening and having conversations, but my experience is that corporate America has not morphed into "one of the kids on the block". They are building consumer focused communities, but are still measuring everything on yesterday's metrics. These trains are not on the same track and this is causing an unsettling disconnect. Can corporations find a way to be successful in this new fast changing world that is driven by online conversations with those who expect dialogs and intimate responses? Is it fair to expect these company executives to constantly be paying attention to both the instant feedback while still meeting the demands of Wall Street? The sheer mass of people wanting access make it impossible to have true connections. Everyone is calling, and nobody can have real communications. Technology can make it seem intimate, but I think soon people will come to detest much of the phony aspects of social online interactions. And with the oversight of the social media components often being delegated way below the C-Suite, sometimes to very young employees, the risk is always there that the responses could be dismissive, or otherwise shortsighted.... leaving those trying to communicate with the company with a bad taste in their mouth. Leaders who get burned by having others talk for them will put a halt to the progress and retire to the old school quickly. They will either pull the plug or micromanage everything into bureaucracy. The demand for access is growing, but there is not time to be available for all who call. Executives at many companies are already overwhelmed and confused. Some organizations are doing a good job at handling their online presence and interactive persona's, but it is still so new. Time will tell. that inner spark that gets them going and many friends who read this blog commented on felling the need to re-energize their "Chi". I was touched by how many people seem interested in finding that inner power that can help them strive to accomplish their goals. Folks want to be zoomed up about their life...but just do not feel they are currently living at that level. Even people who from the outside seem to be on fire, don't always have it going on inside. Some call this power God / religion, others "Chi", life force, or flow... and there are those who have no name for it at all, but they know "it" is out there. Personally I have been aware of connecting with my own energy ever since I wrote the post on Sunday. It is interesting to me that when one focuses on personal energy, you realize that you do have control. I have witnessed many people in the last few days who allow circumstances to derail them. They just crater when things do not go their way. Emotions fly and nobody wins. Meanwhile others are confident in themselves and respond, not react, to those unexpected bumps in the road. Yesterday someone I know mentioned that she enjoys what she does for a living and that makes dealing with the unpleasant parts of her career manageable. Her love of what she does keeps her going. I thought a lot about what she said, and I agree. I also like where I work and the people around me... and this makes me want to make an impact and keeps my head in the game. I see how people who feel misaligned can just let all their personal power be drained from them without even knowing it. Like a slow leak in a tire, eventually all the air goes away. FLAT. For a cyclist on a bike can't ride very far on a flat, thus you need to carry a patch kit and pump with you at all times, or risk sitting on the side of the road all alone. Hmmmmm, I like that analogy. Think about your life. What (or whom) can help you get back on your bike? Identify your "patch kit" before you need it, and keep it nearby. Be thoughtful of how to stay positive and keep your energy fine tuned on success. Be "Chi".